​Pedagogic research is a growing field both nationally and within the University. This particular area of research activity has been included in the education submissions to the RAE in 1996, 2001, 2008. and the REF in 2014. PedRIO members work on collaborative projects with colleagues from within Plymouth University, nationally and internationally. PedRIO also funds projects within Plymouth University. Find out more about our current projects and funding opportunities. examination feedback: an exploration of student and staff expectations. 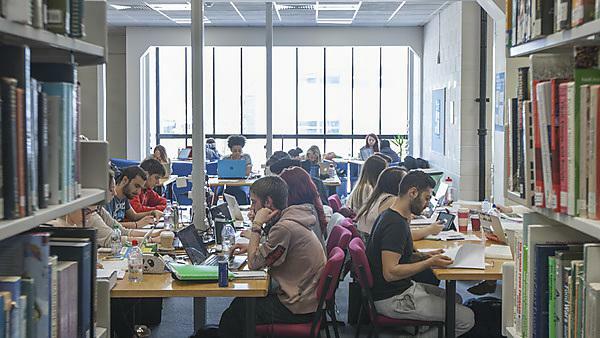 PedRIO offers support and supervision for postgraduate research students in this area, as well as welcoming contact from researchers interested in collaborative projects. The role and effectiveness of undergraduate fieldwork in contrasting academic disciplines - contact Dr Ruth Weaver. HEA CPD project led by Plymouth University, in collaboration with Durham University, University Campus Suffolk and the Higher Education Development, Evaluation & Research LP (HEDERA). Sustainability in Business and Economics Disciplines, working with Fudan University, China Energy literacy in Higher Education, working with colleagues in six UK universities and in Portugal (University of Beira Interior), and in China (Zhejiang University). Postgraduate Experience Project (PEP), led by Kingston University, and working with nine UK universities. Staff from PedRIO and Disability Services at Plymouth are working with colleagues from the KomDIM Academy (Centre for the Development for Diversity Management for all 14 universities in North Rhine-Westphalia Germany). Plymouth staff are participating in workshops, presentations, discussions, and other activities to share good practice examples of inclusivity in higher education. ESRC seminar series ‘Freedom to learn': an international cross-sector seminar series exploring socially just education and inequalities in education’. Partnership with seven HEIs (including Cambridge University, Institute of Education, Hull University).